I have a thing for vampires. However, the phrase 'a thing' can be interpreted many different ways. When I say I have 'a thing' for them, it means they fascinate me. I'm interested in their mythology, in the different ways they're interpreted, in their symbolism. Usually, I'm unhappy with how they're portrayed. Either their vampirism is considered heroic, treated flippantly, or the mythology is just ridiculous. (Vampires do not sparkle, and they don't crack like porcelain when they're killed.) While my 'thing' for vampires frequently disturbs my mother, she's still willing to discuss them with me (and I came by it honestly. My dad slept in a coffin in college and kept a pet bat). Conversations ranging from their spiritual symbolism to whether or not it's practical for them to 'drain' someone (it isn't) are a fairly common occurrence, as several of my novels include vampires of different kinds. However, when it comes to reading vampires in entertainment, they usually bother me. The subject of vampirism isn't treated with respect or seriousness, and is frequently seen as more of a super power than a curse. It's drinking blood, people. This is usually considered a bad thing. 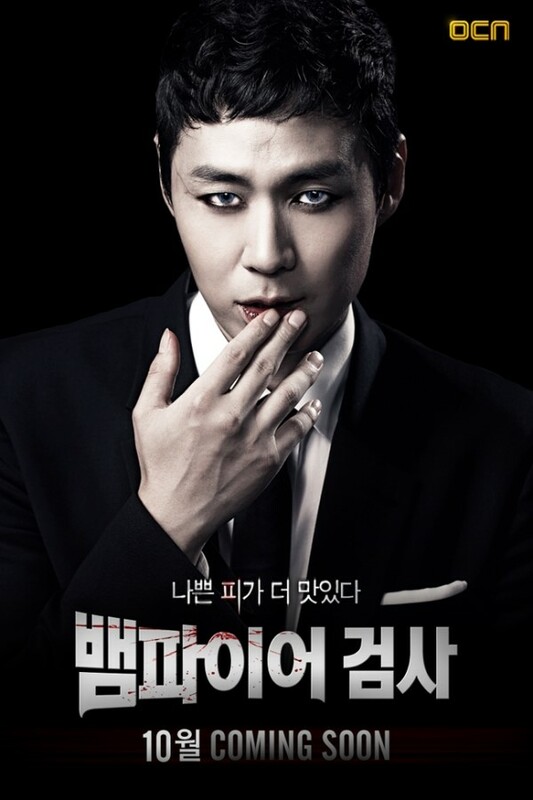 A months ago I watched Vampire Prosecutor, a Korean drama about Prosecutor Min (Yeon Jung-Hoon), a detective-lawyer who happens to be a vampire. I'm always wary when approaching vampire entertainment, but I had heard many good things about the show. Imagine my pleasant surprise - no, my pleasant shock - when I saw the way the show handled vampires. It wasn't even a 'vampire show,' technically, despite the name - it was a procedural. It was Criminal Minds, where the main character happened to be a vampire. This show knocked the Vampire Diaries vampires into the dirt, because the show did not sacrifice morals or blur right and wrong for the sake of its main character. Prosecutor Min was bitten and transformed years ago, and his vampirism gives him a special ability - he can look at a crime scene and 'replay' the last few seconds of what happened, to some extent, in his mind. This makes him invaluable, of course, but that isn't all - if he tastes blood from the victim, he can see snatches of their memories, giving him clues toward solving their murder. This show does not dance around the subject with kid gloves. Min despises the act of drinking blood, especially from murder victims - and, in fact, the act of doing so has highly unpleasant after-effects that he dreads. He has made rules for himself - he never drinks blood from a living person, no matter how tempted he is. In fact, in the first episode, he finds a man who murdered a little girl. The man deserves to die - horribly, in fact, for what he did; and Min gets very close to killing the man himself. However, after a struggle, he doesn't touch the man and instead prosecutes him, landing him in jail for life. The show impressed me on many levels, because it didn't make sacrifices or 'cover' for the main character's condition. 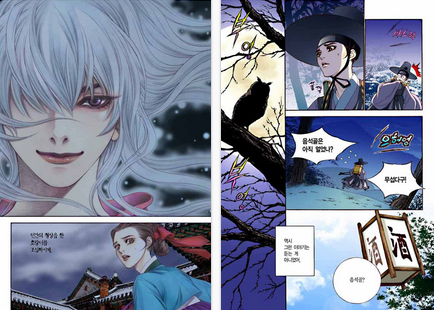 Recently, a sageuk (historical drama) started that I'd been looking forward to for months - Scholar Who Walks at Night. The story centers around royal scholar Sung-Yeol, after he discovers that the palace is actually being run by Gwi - an evil vampire who takes the king's concubines as tributes and destroys anyone who disobeys him. Sung-Yeol is bitten by a dying vampire hunter (who happens to be a vampire hunter) - and before the hunter dies, he tells Sung-Yeol that he is curing him with this existence because he believes he's a good man, and Gwi is an evil one no human can destroy. The show gives us two very different vampires - an intriguing but selfish vampire with no value for human life, and an ordinary man who plans to kill himself once he destroys evil. He views himself as a 'lesser' evil and lives as cleanly as he can, but struggles constantly with what he is and whether it's worth living like this in order to save the country from a greater evil. I love both of these shows. Good is good, and evil is evil - although the characters have beautiful depth. The issues of right and wrong are not danced around or smudged like in most Western television - instead they're debated in the open. In fact, they're frequently the whole point of the show. Where Western television fails, South Korean television does not - and if you're looking for a story with vampires and a strong moral compass, I highly recommend these two. What about you? Do you have a problem with most vampire portrayal? Have you thought about it, or do you usually dislike the idea of vampires completely? The topic of this post doesn't surprise me, but the content does! This is amazing! Western films certainly do blur the lines of what's clearly morally okay or not (don't offend anyone, please! Depending on the lenses you put on, murder is /okay/! Don't judge!). The more I learn about Korean culture through the media, the more I respect and admire them. Thanks for loving this culture enough to share it with us. ^_^ It humanizes other parts of the world and I love that. *adds these shows to my to watch list* I usually dislike the idea of vampires altogether, but these shows sound really intriguing! I can't wait to watch them.